Our refrigerator is an absorption refrigerator (AKM), which can be operated at a very low heating levels. 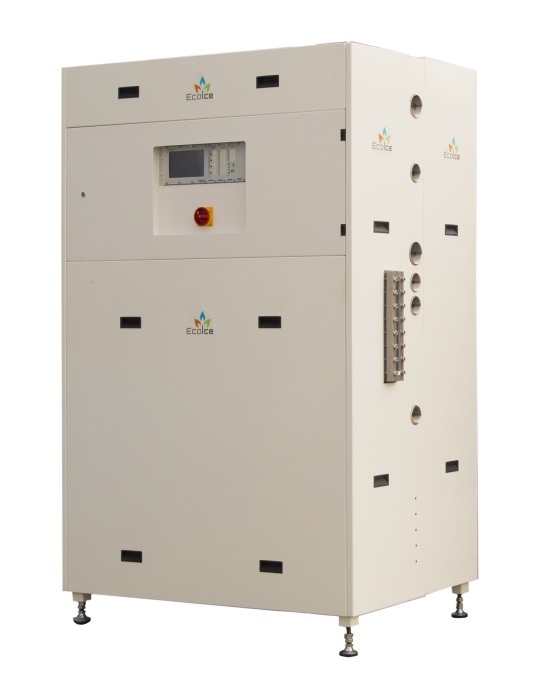 Our AKM is compact and can be combined with various cooling systems (e.g. cold brine systems, cold water systems, or direct expansion systems). Due to the small number of mechanical components for connecting individual systems, it requires very little maintenance. The AKM can easily be integrated in building management and control systems and IT network systems. You can monitor and control the system via Internet remote access from anywhere. The system is also highly ecological. It does not contribute to the greenhouse effect nor to harming the ozone layer. Waste heat from cogeneration, gas turbine, or fuel cell. This makes trigeneration possible. Waste heat from process engineering and steam condensate. Solar heat that is available right when cooling is needed. District heating, which can be used in the summer months and is available at low cost right now.